Subzis and gravies are an everyday affair. No day passes by without preparing at least one subzi or gravy in your kitchen, to accompany rice or rotis. Delicious Jain-style vegetable dishes can be prepared using a lot of tomatoes, apt spice powders and raw bananas instead of potatoes. 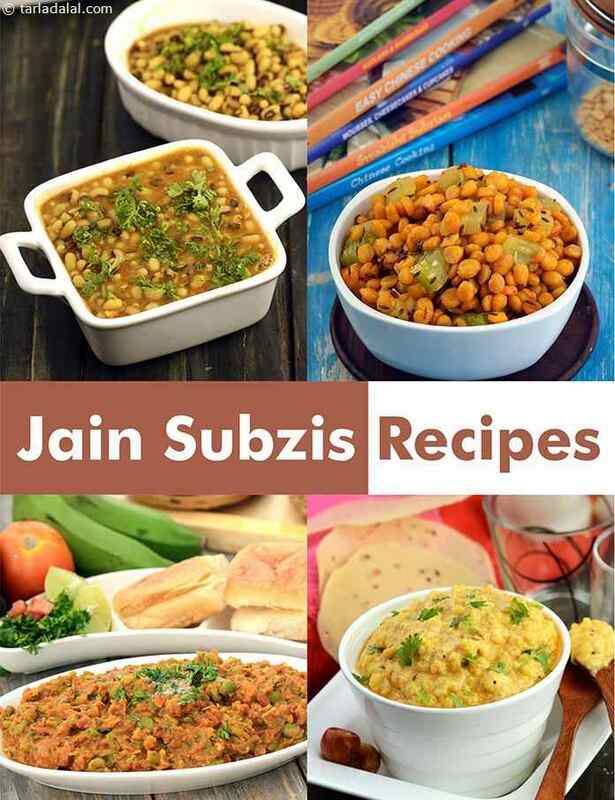 Recipes like Ganthia Nu Shaak, Amritsari Gobi Mutter, Chawli Bean Subzi, Green Peas and Raw Banana Subzi, Kela Methi Nu Shaak , etc., are some of the must-try options contained in this section.